Clemson fans from across the country celebrated Clemson University’s third National Championship but nowhere has there been more of a celebration than right here in the upstate. 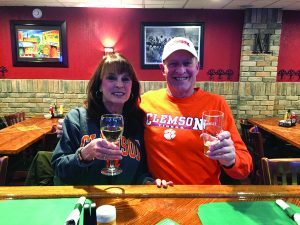 Throngs of Clemson supporters rallied at events in the upstate including the parade in downtown Clemson and an exciting celebration at the Stadium. 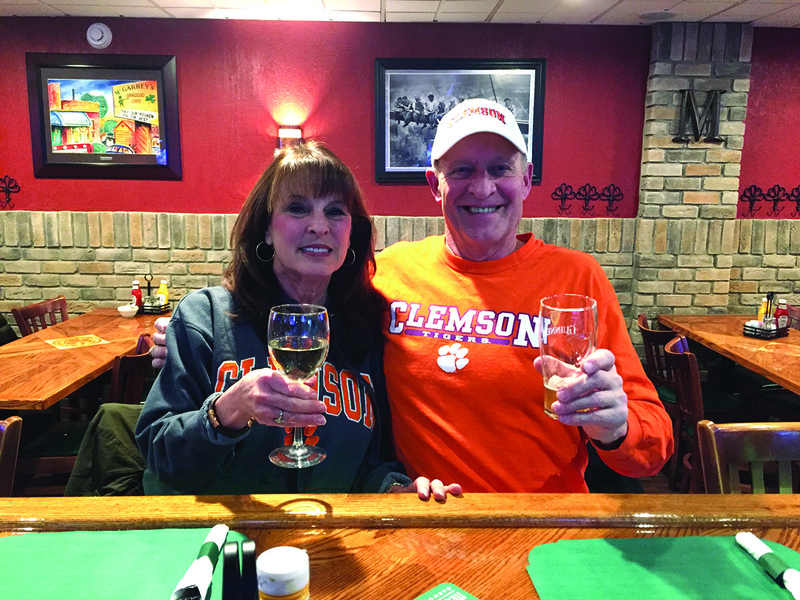 But the ultimate celebration was at the game itself where several upstate families traveled across country to support the Clemson Tigers. On inside pages we have a collage of pictures from local fans at the game, at the parade and a selection of “all in” celebrations. The event was truly a national celebration. Jeff Duncan, representing South Carolina’s 3rd Congressional District took the podium on the house floor after being recognized by speaker Pelosi. 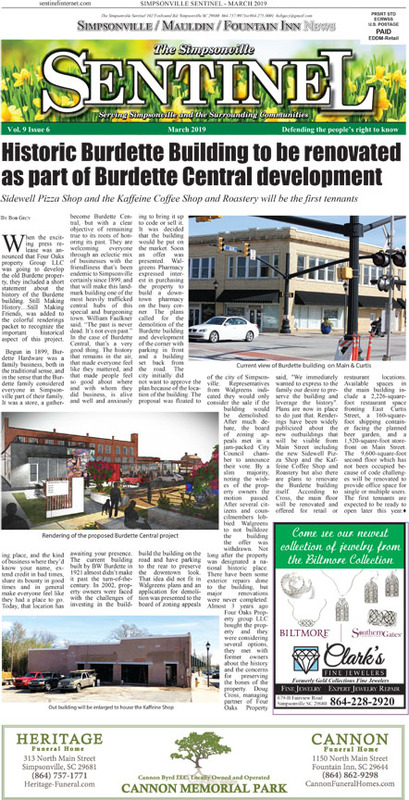 Congressman Duncan shared these comments with the Sentinel. “Madame Speaker, I rise today because it is a GREAT day to be a Clemson Tiger! 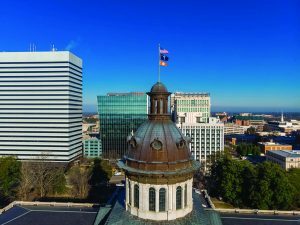 The Third District of South Carolina is home to the Clemson Tigers who were victorious in their performance against the Alabama Crimson Tide on Monday to claim their 3rd college football national championship – resulting in a perfect season – the first 15-win season in the modern era of division 1 football. Coach Dabo Swinney led this historic team to not only victory, but a dominating performance to truly establish Clemson as the best college football team in the entire country. They left no room for doubt. It was an amazing performance by everyone including quarterback Trevor Lawrence, the first true freshman to start and win a national championship in 33 years, to seniors like Christian Wilkins and Hunter Renfrow. The entire team and coaching staff showed poise, control, and leadership on and off the field the entire night. Coach Brent Venables – the defensive coordinator – prepared the Clemson defense well. Alabama was in the red zone on 3 different occasions but came away with zero points due to the great Tiger defense standing strong. The Tide threw 2 interceptions in the first half which Clemson leveraged and turned into points for the Tigers – establishing more dominance in the game. The Tiger offense scored an incredible 44 points over Alabama’s 16, to the shock of many in the college football world, but not a shock to the Tiger Nation. At the end of the night, Clemson’s near perfect game was too much for Alabama. The performance was truly remarkable to see, as the whole nation stopped to watch the 2 top programs in college football duke it out and leave their hearts on the field. The Clemson senior class is one to be remembered. 4 straight ACC Championships, 2 national Championships, and 55 wins over the last 4 years. Madame Speaker, to say I am a proud alumnus and former walk-on football player is an understatement. Of course Dabo cares about playing amazing football – he has proven this over and over again through a fantastic 10 years as head coach. He is now 1 of 2 active college football coaches with 2 or more national championship under the belt – right along with Nick Saban. But I know Dabo cares about something more – something bigger and more important than football. He cares about the hearts and souls of his players. He cares about their character, their leadership skills, and their aspirations well after their time as student-athletes. He cares about the types of men these players will become as friends, brothers, sons, future husbands and fathers. He invests in them to train them as both elite athletes AND elite people. There is only one reason for this type of compassion. He strives to mirror Jesus Christ’s unconditional love for us every day as a leader, coach, husband, father, and friend. As he said after the game, “Only God can do this.” How true this is in all areas of life! Coach Swinney never misses an opportunity to speak truth on the platform God has given him to proclaim the amazing Christ-like love that is bestowed on all of us. You can tell he wants to be this type of example. I believe this is what makes Clemson so special – a leader who prays for his staff and his players. A leader who shows Christ-like love to everyone he meets. A leader who prioritizes character over everything else. A leader who cares about you as a person, not just a football player. We can learn a lot from Dabo! Hat’s off to Alabama who is always a storied and successful program. The competition on Monday night captured the entire nation’s attention through the battle between two amazing football programs. Great game! Clemson’s success wasn’t built overnight – this was built by years of focus, work, and grind. It was paid for with blood, sweat, and tears on the field, in the weight room, the film room, and everywhere in between. Nothing great ever comes easy. 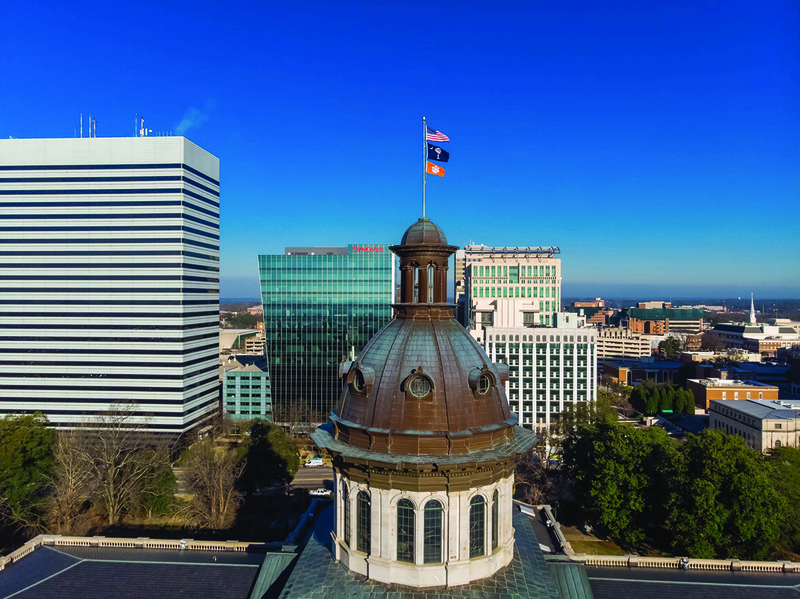 So Madame Speaker, as a former player, proud graduate, and lifetime Tiger, I am filled with pride to see where the Clemson program is today and how it has elevated the university, the Third District, and the entire state of South Carolina. The people in the chamber and on Capitol Hill may not know my name, but they know who the Clemson fan is among them. Clemson is a special place – proud alumni all over the world know what I mean. There’s something in the hills where the Blue Ridge yawns its greatness. And the football team showed this greatness on Monday night. I am immensely proud of Coach Swinney, the players, the administration, and most of all – the best university in the country – Clemson! It is a blessing to be a part of Tiger Nation. I will always be ALL IN. 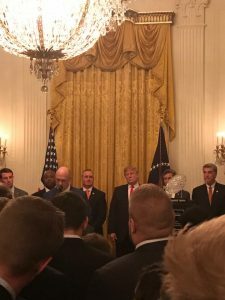 Go Tigers – the College Football National Champions. Congratulations!